This year marks the iconic 40th anniversary of the AAFA American Image Awards & we are beyond thrilled to be producing the event for our 16th time! The American Apparel & Footwear Association has been the owner of the event since it began & has honored a slate of industry notables that reads like a historic “who’s who” of the fashion industry. 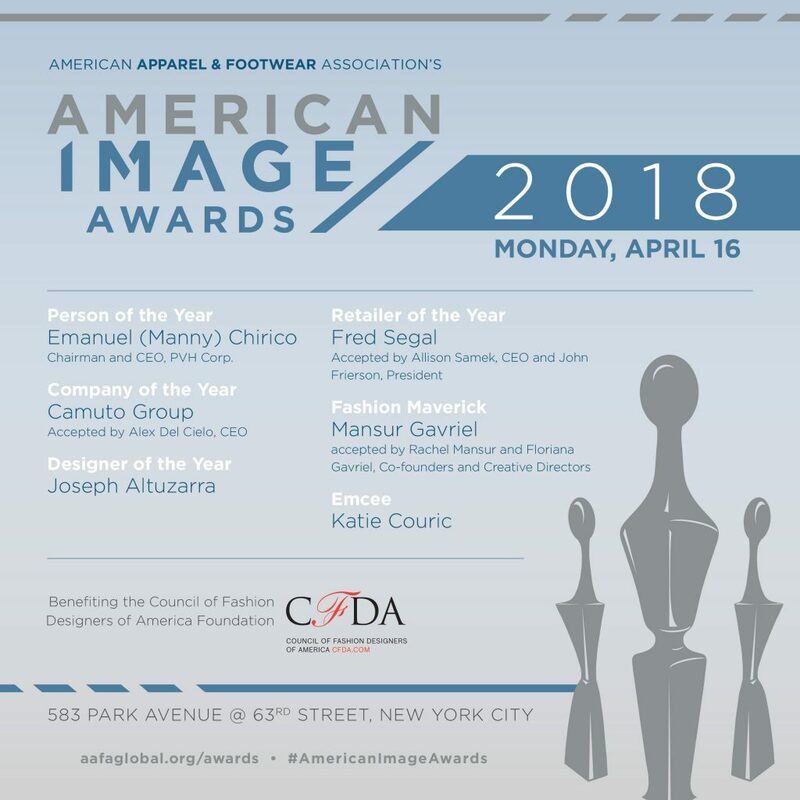 This year’s event honors Emanuel “Manny” Chirico (CEO of PVH) as Person of the Year, Joseph Altuzarra as Designer of the Year, shoe powerhouse Camuto Group as Company of the Year, Mansur Gavriel as Fashion Maverick, & Fred Segal as Retailer of the Year. The Council of Fashion Designers of America (CFDA) Foundation, which supports American design talent through a range of innovative programs, is the charitable partner for the second year in a row. The event is being held in New York City at the iconic 583 Park Avenue event space on Monday, April 16th, 2018. For more information, or to get your tickets, visit this link, or call 212.696.1100 x 20.